DAVID LE/Staff photo. 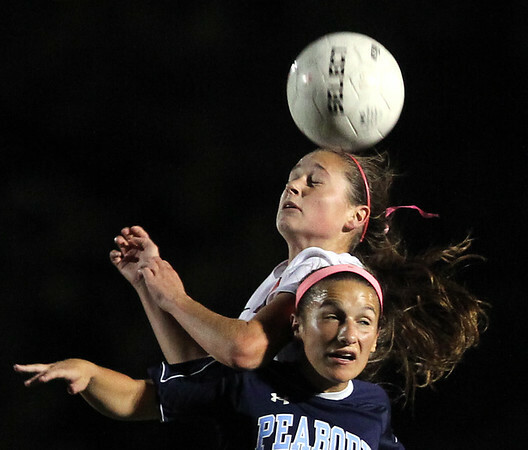 Marblehead junior Olivia Eddy leaps over Peabody senior Katrina Silva to win a header. 10/14/15.